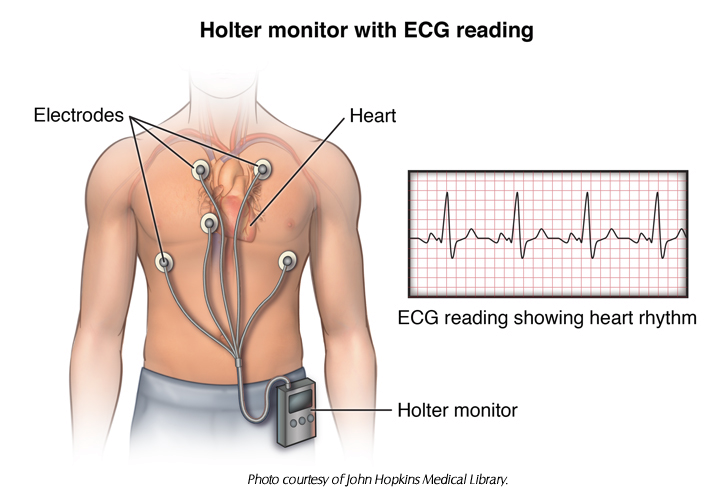 A Holter monitor is a portable, battery-operated ECG device that will continuously document and save a record of your heart rhythm for 24 to 48 hours to get a better picture of your heart’s activity. Sometimes patients who report symptoms that may be related to abnormal or irregular heart rhythms often do not experience these symptoms during a routine EKG. Because of the significantly longer time frame using the Holter monitor, there is more opportunity to document any episodes of abnormal or irregular heart rhythms so that Dr. Fenster can determine if your symptoms and heart activity are related. An important aspect of Holter monitoring is keeping a detailed diary when you have specific symptoms, what time they occurred, and what you were doing during those symptoms. 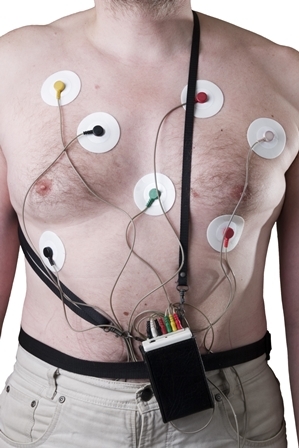 What should I expect from Holter Monitoring? In the office, our technician will first clean the areas on your chest with alcohol where five electrodes (small round patches) will be placed. A gel may be used to keep them secure. Wires connect the patches to the monitor, the monitor will be worn in a case around your waist or in your pocket. The sensors need to have good contact on the skin for reliable results, so some men may need to have areas of their chests shaved. Our technician will instruct you on how to care for and use the monitor. You will be directed to follow your usual daily routine and report in a journal your activities and symptoms you may develop. It is important for you to write down the medications you have taken and the times you have taken them in your journal. You must also note the time you develop symptoms so that it may be more easily associated with your ECG results. Maintain your normal activities while wearing the monitor. You may be asked to exercise while being monitored if your symptoms have occurred in the past during exercise. Please do NOT shower, bathe or swim while you are wearing the monitor. Do NOT get the wires, electrodes or monitor wet. After you are finished using the Holter monitor, you will return it to our office. Dr. Fenster will tell you when to expect the results. Once he has reviewed the recordings, he will discuss the results with you. Where will the Holter Monitor be provided?